Your decision to become a yoga teacher comes from the heart, from the desire to share yoga’s life-changing rewards with others. 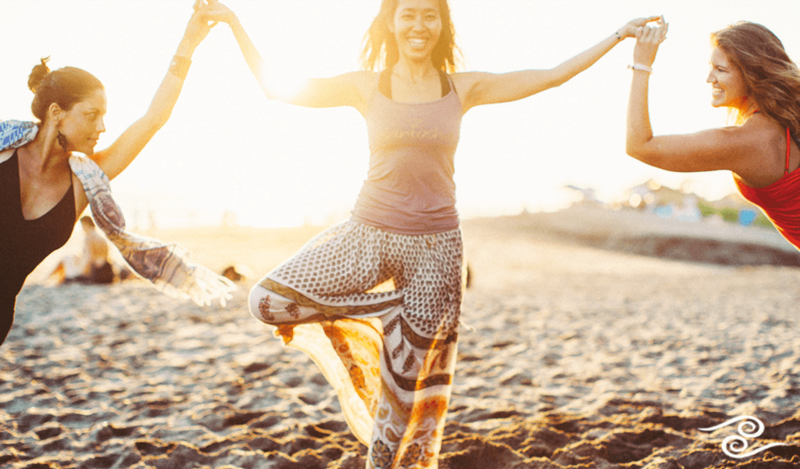 If you’ve reached the point where you feel you must share your passion, or you simply want to learn more about yoga, then consider Santosha’s Yoga Teacher Training Certifications. Santosha’s offerings include a 200 hour level 1 course, a 500 hour level 2 course, as well as intensive continuing education courses in teaching SUP yoga, pre/post-natal, children’s and teen’s yoga. Our courses are held onsite at stunning locations around the world where you can enjoy organic meals, discounted massage therapies and activities like surfing, SUP Yoga and horse riding (accommodation, treatments, activities and meals not included in course fees). All of Santosha’s courses are accredited by Yoga Alliance, a professional association that supports the high standards and ethics of yoga teachers worldwide. Becoming a yoga teacher means taking your practice to the next level and bringing the rewards of yoga to others. Teaching yoga allows you to embody awareness, open your heart and integrate yoga principles into your everyday life. You will grow and learn along with your fellow students and help them to discover their spiritual path. Our courses are a creative fusion of Hatha, Ashtanga, Yin and Iyengar yoga that are accessible to students of all abilities. If you’re ready to dedicate yourself to this amazing vocation and learn from some of the world’s best yoga teachers contact Santosha today. You will be welcomed into the Santosha family with open arms for your training and throughout your teaching career!